TPU (thermoplastic polyurethane) shift pad with hardness and suppleness. Easily attachable with a rubber band with Velcro, it assists the shift operation without damaging the shoes. 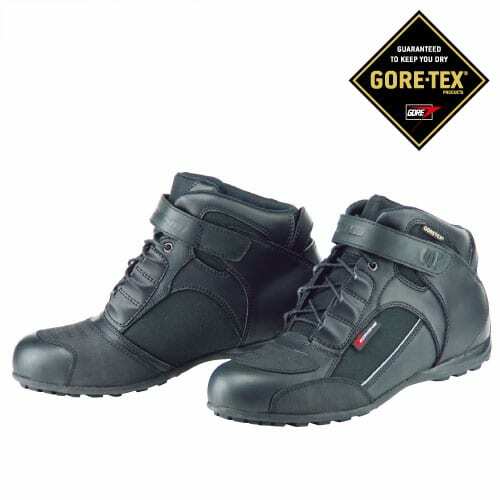 If you're looking for a motorcycle shoe that has the flexibility of riding in all conditions and can be used as an everyday shoe then the Komine BK-063 GORE-TEX(R) Motorcycle Shoe Etna is a winner. Made with a Gore-tex 45,000mm waterproof, breathable membrane to keep your feet dry in heavy rain. The reinforced toe and shift pad allow you the protection and durability you need for your commute. Komine's BK-063 is a really comfortable shoe. Komine's BK-061 FTC Riding Shoes are a durable and comfortable riding shoe for both on and off the bike. Equipped with an FRP toe cap for safety, it also boasts a lightweight outer sole as well as an air pump and airflow system insole. They also feature a windproof, breathable liner to keep your feet dry when the rain kicks in. These are a great all-around bike shoe. 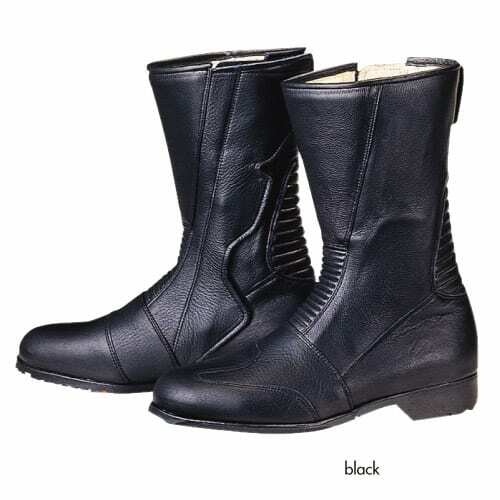 The Komine 202 Back Zipper Leather Motorcycle Boots are some of the best quality boots on the market. Made in Japan with care and precision, the genuine leather cowhide boot are premium. They have a back entry zipper and are very versatile. They can be used for tracing, touring or riding around town. Supremely made leather boots that will last. 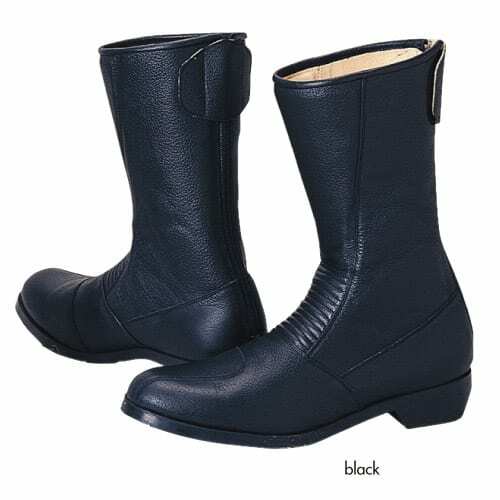 The Komine 520 Side Zipper Leather Motorcycle Boots are some of the best quality boots on the market. Made in Japan with care and precision, the genuine leather cowhide boot are premium. They have a back entry zipper and are very versatile. They can be used for tracing, touring or riding around town. Supremely made leather boots that will last.